I was short of time on Saturday so literally walked past these, stopped, turned back, stared at them and cursed my lack of time for trying them on. I'm surprised they're as expensive at this - it's Next we're talking about. 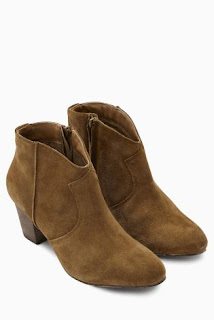 They're usually very good at keeping prices lower but I'm surprised by the £68 price tag for a pair of fashion ankle boots (fashion meaning they're trendy now but who's to say they will still be next year?). Other places to buy tan fringe boots? 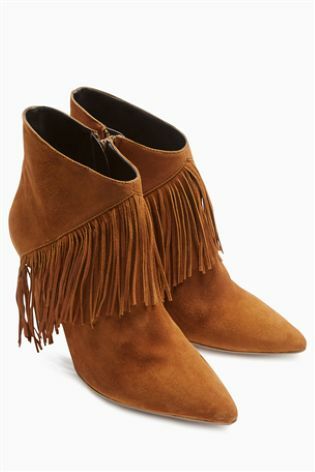 ASOS - £50 (LOVE THESE)! 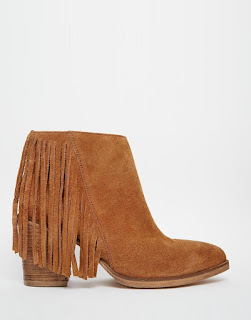 I love the new look ones, but are buckles AND fringing a step too far? I did wonder but for some reason I love them!! Me too. They are in my basket but not checked out yet. Will sleep on it. The New Look ones are fab. 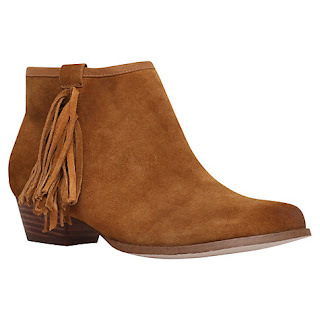 I need new black ankle boots this year, well I don't actually need but I do want. 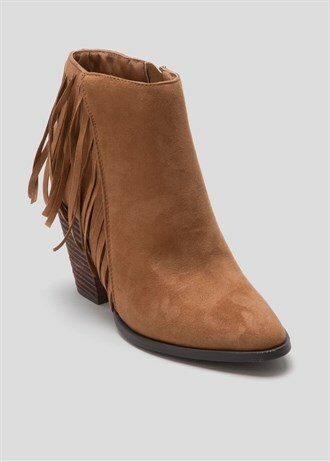 Love the fringe boots but a black pair will last me years and I don't think fringe will stay the course. Mind you, there's always the option snipping them off???? For every tan version here there was a black option! You can't cut the tassels off!!!!!!!!!! LOL yes! I do hang on to things now 'just in case' it comes back into fashion - and it always does! Oh I love fringing and think you can wear it year after year - it's never NOT in style is it? Just more so this year! I have the Zara military looking ones and love them but they are quite high! I am always so behind the times and my fashion radar is rusty! Agreed! 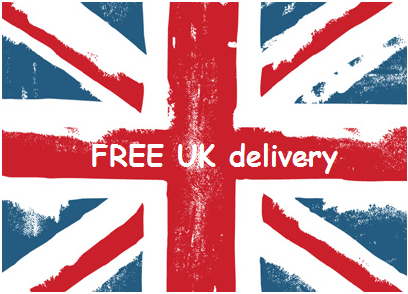 My only concern is the quality of the ankle bit - I shall order and see! THE best wrap/cape ever .. or is it? Slogan tops - yay or nay?